Buying a wedding ring, especially for men, used to be a very limited experience, as far as choices. The only real options were a plain domed band, or perhaps one decorated with a few precious stones, in a precious metal such as silver, gold in one of its various forms, or platinum. The good news for everyone seeking unique men’s wedding bands is that those days are long over and done with. Fashion trends and manufacturing techniques have worked together to produce entirely new ringsthat have taken what people have commonly expected of men’s wedding rings and turned it completely upside-down. 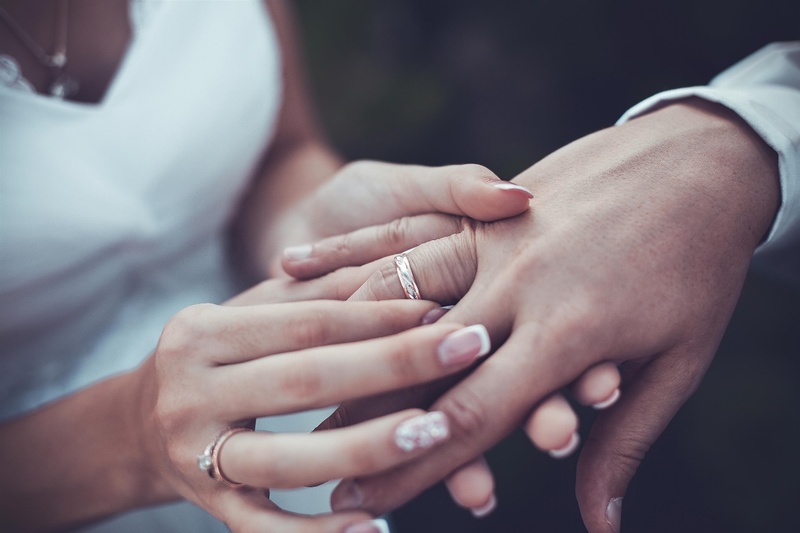 Tungsten wedding bands and other alternative metal rings are incredibly popular, as of late, for a number of reasons that make it exceedingly obvious. Tungsten carbide was previously unsuitable for use in jewelry, due to the impossibility of working with it using traditional techniques. Modern manufacturing techniques have changed all that. 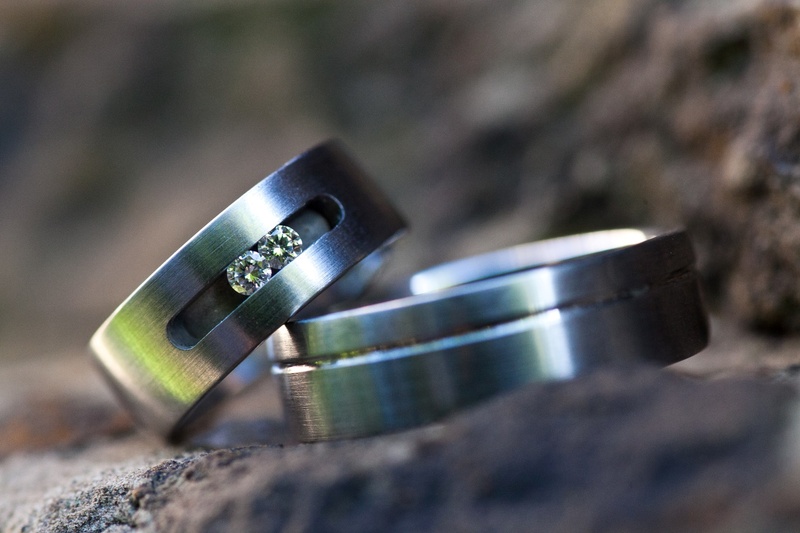 Equal amounts of tungsten and carbon atoms are combined as a powder and fired together in a high pressure die to form a ring blank, which is then cut and polished by using high-powered lasers and diamond-tipped tools. This process creates a ring that is dense and heavy like any precious metal but with an extremely tough and durable finish that is resistant to scratching and damage from anything softer than a diamond. Paradoxically, despite all the technology that goes into the creation of a tungsten carbide ring, the resulting product costs much less than a ring made of precious metals. This value is mostly because tungsten is immune to the vagaries of the commodity metals market, so the cost of the ring is only related to the cost of production. The low price of tungsten rings means you get an incredible value for what you spend, and you gain an attractive, durable, weighty ring, without breaking the bank, letting you focus on spending your money where it counts the most—on a down payment for a new house or car together, a grander wedding, or anything else you can think of. Tungsten carbide wedding rings are available in just about any style or finish you can think of, but one style you should strongly consider is a grooved tungsten ring. 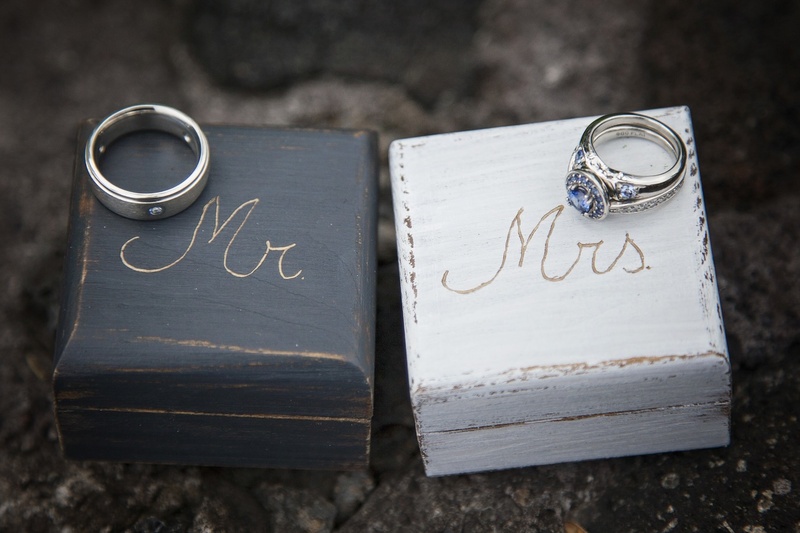 While your dad or grandad’s wedding ring probably had a smooth, unadorned surface, you probably want something a little more modern and edgy. A tungsten carbide ring with one, two, or more grooves or channels set into it updates the look of a smooth ring, adding some visual interest and texture, while still retaining a mostly classic and timeless look. A grooved tungsten carbide ring will typically have the grooves set into the edges, framing the ring and drawing the eyes to focus on the center. This is not a hard or fast rule, however, and for the more fashion-forward among us, rings with center grooves, grooves set at an angle, or even grooves inlaid with an entirely different material are available. For more information about grooved tungsten carbide rings, check out the selection available at Men’s Tungsten Online.